Keith has been the Keynote Speaker at corporate events, national conferences, legal conferences, universities, the police service, and fundraisers. He has been interviewed and appeared on CBC radio and CTV Morning Live television as part of the Bell Let’s Talk Campaign. 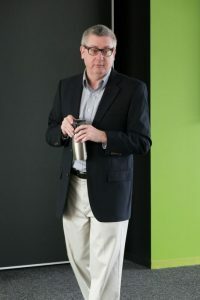 He has written for the National Post newspaper and publications of the Nova Scotia Barristers’ Society, the Canadian Bar Association, and the American Bar Association. If you are looking for a Keynote Speaker to make your event one of Inspiration and a Celebration of Life feel free to reach out. Presentations can be provided in person, by Skype or zoom. Please take a moment and read the extensive list of presentations and media work. Check out the Testimonials too! My Personal Journey Through the Darkness – Keith discusses his journey through 16 years of depression. Hope, Healing, Health, & Happiness are the principles of his presentation. On Tour with the Rolling Stones – Keith maps out his years of depression through 6 Rolling Stones concerts in 3 countries over 14 years that he attended. Worth Living Online – Keith discusses and provides guidance in creating, developing, and sustaining an online mental health awareness community.